It's ready in 3 minutes, but is this pho meal-worthy? 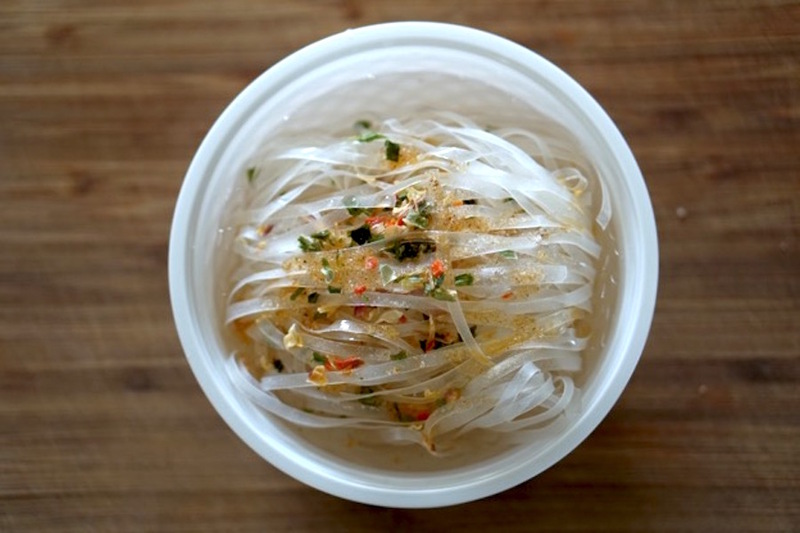 Q: Is this instant pho meal-worthy? 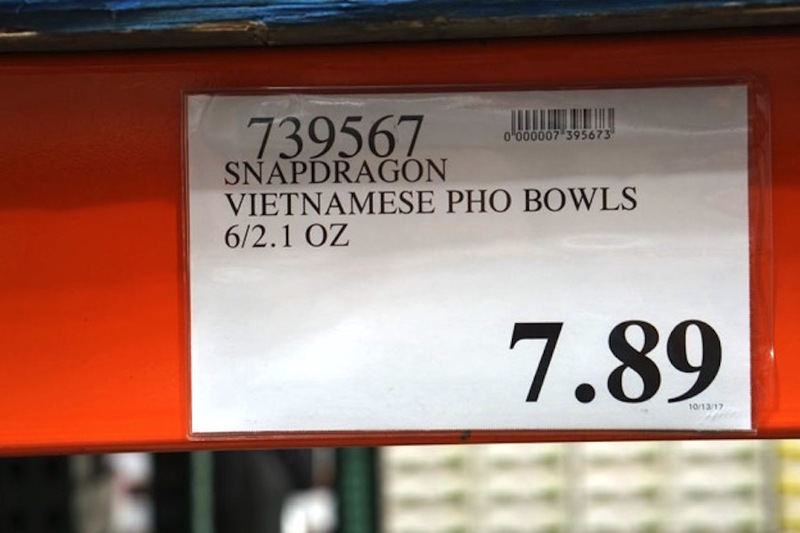 It takes Costco to get to me try instant pho. Though well-acquainted with instant ramen, I didn’t even know instant pho existed. So when I spy this at Costco, I'm intrigued enough to bring it home. I open the package to reveal six plastic bowls. 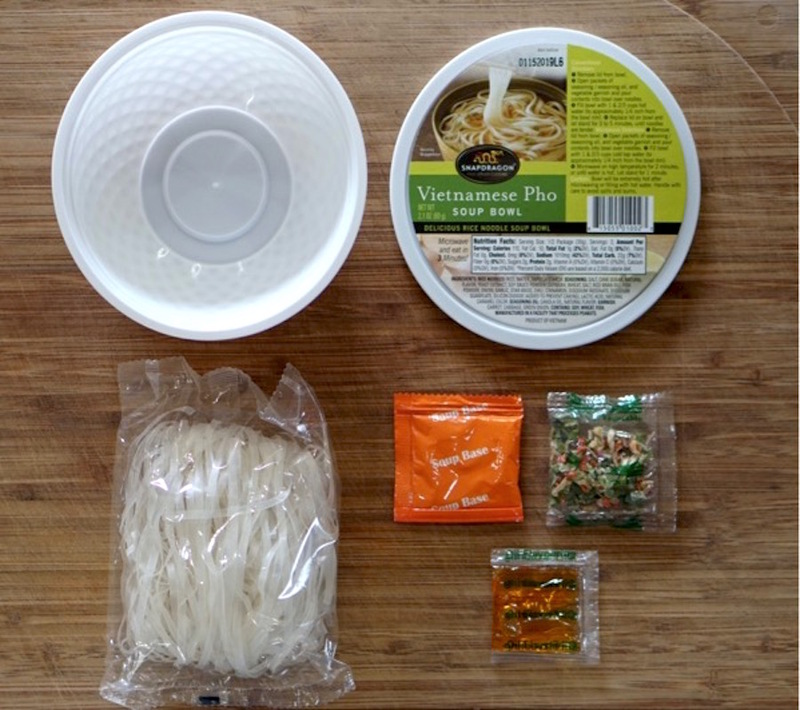 At $7.89 per box, each pho bowl is $1.32 and contains several packages: noodles, soup base, seasoning oil and dried vegetable garnish. To make the instant noodle, you just open all the packages and place the contents in the bowl. Then you can either pour in hot water and steep, or add tap water and microwave for 2 minutes. Since I am always in search of yummy quick finds for a family who lives for noodles, I choose the easier route and zap mine into submission. With a hubs always on the go and a kid who prefers carbs, I'm thinking this pho is looking promising for those 15-minutes-to-dinner nights. Fresh out of the microwave, the broth is quite flavorful and reminiscent of Vietnamese restaurants. 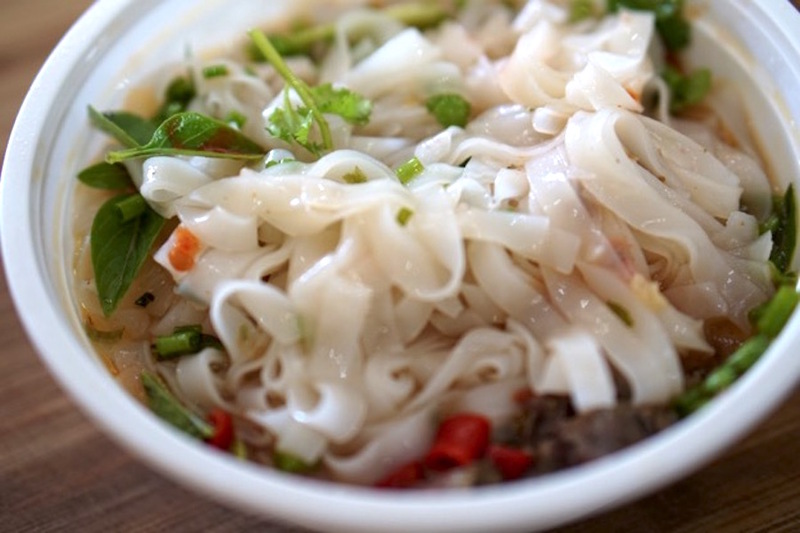 The noodles have a glassy texture and are a bit on the thin side. But the bottom line is this bowl lacks the things that make pho so delicious to me: fresh herbs and sauces! Plain like this, it's more of a snack than a meal. I know folks like their pho in quite specific ways. Some like to add fresh cilantro, others only like Thai basil, some like only beef balls, others like tripe and tendon. Whatever you like should go into your bowl to make it your own. 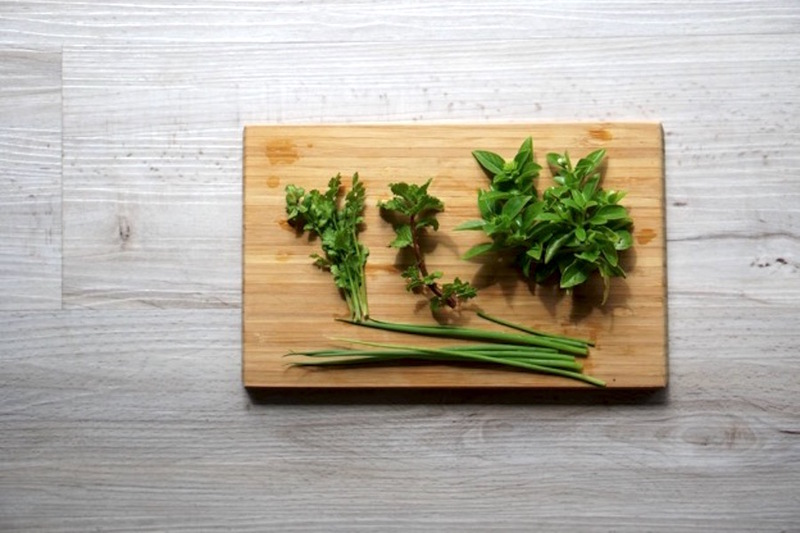 Luckily, I have some garden herbs: cilantro, mint, basil and green onion. Then I add slices of cooked beef. 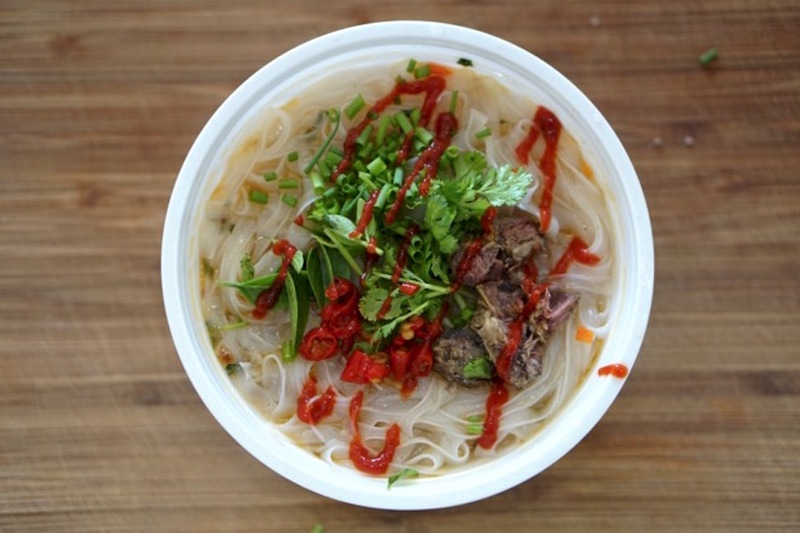 I love the thin slices of rare beef pho, but I worry that in this case the broth isn't hot enough to cook the meat. I top things off with red chilies and a good drizzle of Sriracha. So? Does adding meat, herbs and hot sauce elevate this bowl to meal-worthy status? Several slurptastic moments later, I realize this microwave pho might have to be a repeat player on our dinner table. 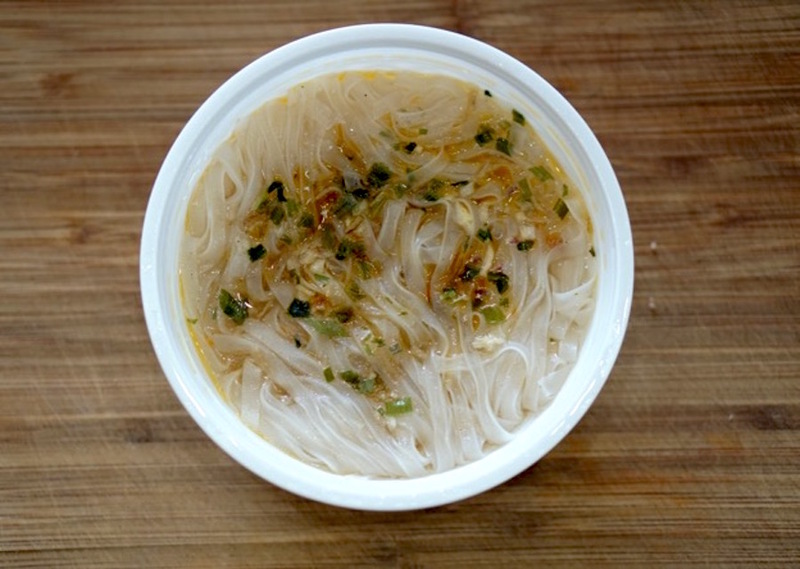 My foodie kiddo and hubs agree: This instant pho is definitely meal-worthy!